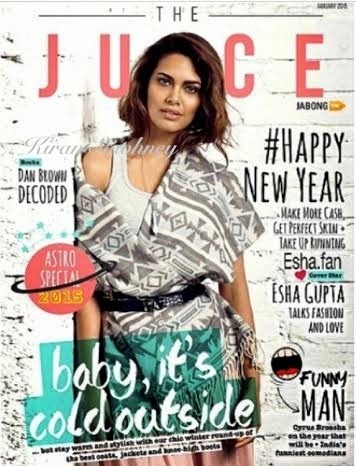 Esha Gupta on Juice magazine wearing pink skirt, Miss Selfridge pale Aztec scarf, mango belt and ayesha white necklace. 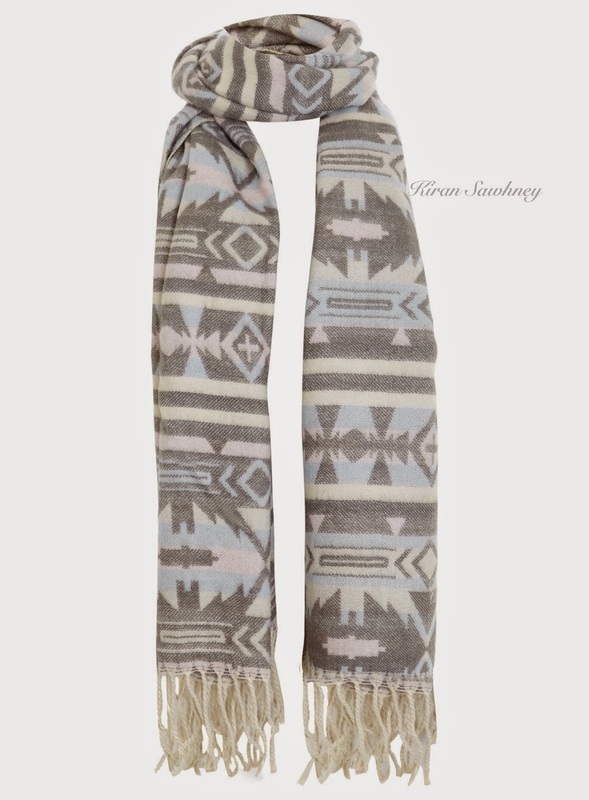 We are shawl lovers and love the way this shawl is styled. 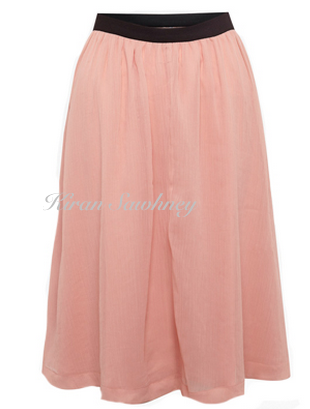 Though we do not like the cover a lot but full marks to styling of the shawl.